TEHRAN, Iran -- The building was smaller than I remembered. The fading images in my mind were grainy: angry crowds, students marching, flags burning, chants of “Death to America,” and Americans diplomats in blindfolds, It became a soap opera: Ted Koppel started his rise in TV News with ABC’s nightly “America Held Hostage” series, the forerunner to Nightline. In Iran, he takeover of the U.S. Embassy -- what students called its “conquering” -- was justified as a blow against imperialism, the seizure of a “spy nest.” It was, at the time, the most globally covered aspect of the Iranian Revolution, an audacious confrontation between people power and a foreign power. 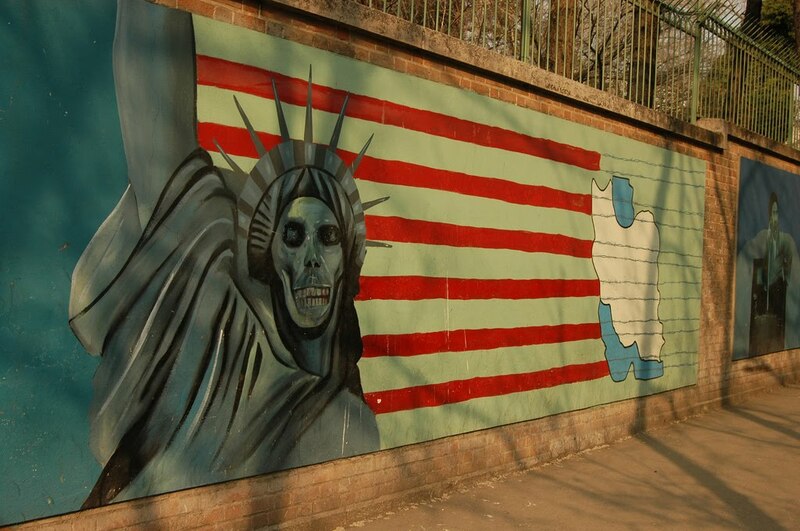 The events that followed may have been considered revolutionary in Iran, but for progressive Americans they became the nail in President Jimmy Carter’s political coffin. He angered Iranians first when he toasted the Shah, calling him a beloved figure. He then tried and failed to negotiate through third parties and later sent in a military "rescue” operation that crashed and burned, leading to his own downfall. I didn’t remember that eight hostages -- women and black employees -- were released by Khomeini as a gesture. He urged the black men to return home and carry on the work of our most famous Muslim martyr, Malcolm X. Our ignorance still feeds dangerous calls for war like those made recently by the pin-headed Lindsey Graham, a Republican senator from the former Confederate State of South Carolina. He’s called for the sinking of the Iranian Navy. He seems to have forgotten his own state's role in launching the American civil war after a Naval battle between the Monitor and the Merrimack in Charleston harbor. Theocratic evangelists like Glenn Beck -- posing as TV commentators -- urge us to let God Rule, the message of some of Iran’s Mullahs. George Bush denounced Iran as part of the “Axis of Evil” while they do the same towards us. There is a poster in the former Embassy building denouncing U.S. evils. The U.S. government learned from the Embassy takeover; they didn't change imperial policies, but did invest in more security. The U.S. now builds vast and far better-fortified “diplomatic” enclaves like Iraq’s Green Zone. Secrecy has become our national security state’s religion. At the same time, we are doing all we can to block Iranian nuclear ambitions, even as I told an audience in Iran about my own objections to nuclear power plants in favor of green energies -- not a popular position.